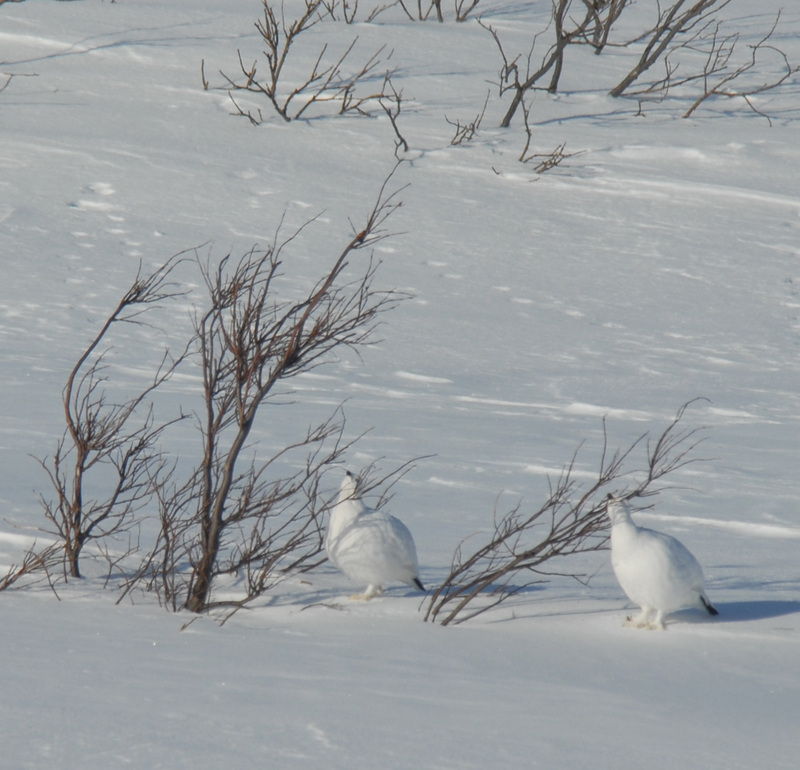 Ptarmigans are the only herbivorous birds that are year-round residents in the Arctic. They are important small game species for people and prey for predators. How will climate change influence arctic ptarmigan, both directly and via other species in the food web? Can prudent management mitigate the impact of climate change? Two species of herbivorous birds – the willow ptarmigan (Lagopus lagopus) and the rock ptarmigan (Lagopus muta) – are common in the Arctic. The willow ptarmigan is omnipresent in low-arctic shrub-tundra, while the rock ptarmigan is restricted to high-arctic and high-alpine habitats. The two species co-exist in some low-arctic areas - such as the Varanger Peninsula, which harbor both low elevation shrub-tundra and mountain ranges with high-alpine vegetation. Due to their wide geographic distribution, ptarmigan populations are situated in very contrasting food webs and climates, both of which may shape their dynamics differently. The two COAT regions represent two extremes in this respect. On the Varanger Peninsula the rock-ptarmigan and the willow ptarmigan are parts of a complex food web with many predators, competitors and potential food items. Here, both species exhibit normally violent fluctuations in population density, and in the last decade with alarmingly declining trends. In contrast, the Svalbard rock ptarmigans is found in a simple food web with only one major predator (arctic fox) and fewer food plants. The Svalbard rock ptarmigan has a more stable population dynamic than its Varanger counterparts and with no obvious long-term trends. 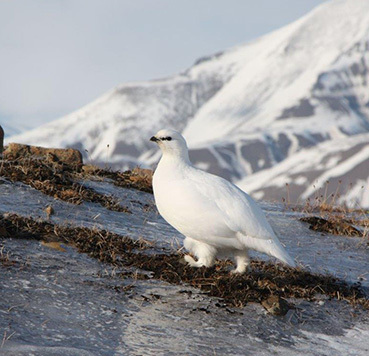 The very different food web contexts in Svalbard and Varanger require different conceptual models (and food web submodules) to guide COAT’s ptarmigan research. There are however, interesting comparative issues to explore between the two regions. Comparisons will be facilitated by selection of common state variables and methods. The two COAT regions also share the facts that ptarmigan is the most popular small game and that harvest management needs to take into account the impact of climate change.